Custom built Contemporary home is one of a kind! 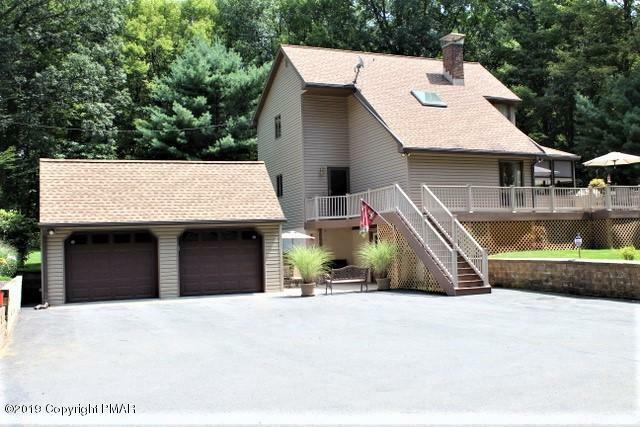 Located near the Blue Ridge Winery on a 1.2 acres corner lot w/mature landscaping, a trex deck, patio, 2 car garage w/attic storage, & large utility shed. Step inside & be wowed by the charm that surrounds you! Open beam ceilings & hand scraped hardwood flooring greet you in the tile foyer & lead into the dining room. The living room has vaulted ceilings w/sky light, knotty pine accent wall, & a stone chimney flowing through the center of the home. The kitchen has granite overlay counters & comes with all appliances. An all-season sun room is a great place to relax year round. Also on the main floor are a full bath w/laundry, & a bedroom. The 2nd fl. has a large loft that overlooks the living room, a sun room, the Master bedroom w/walk-inCustom Contemporary located in the heart of SKI COUNTRY in the Blue Mountains. A great COMMUTER location w/ easy access to RT. 33 & 80. 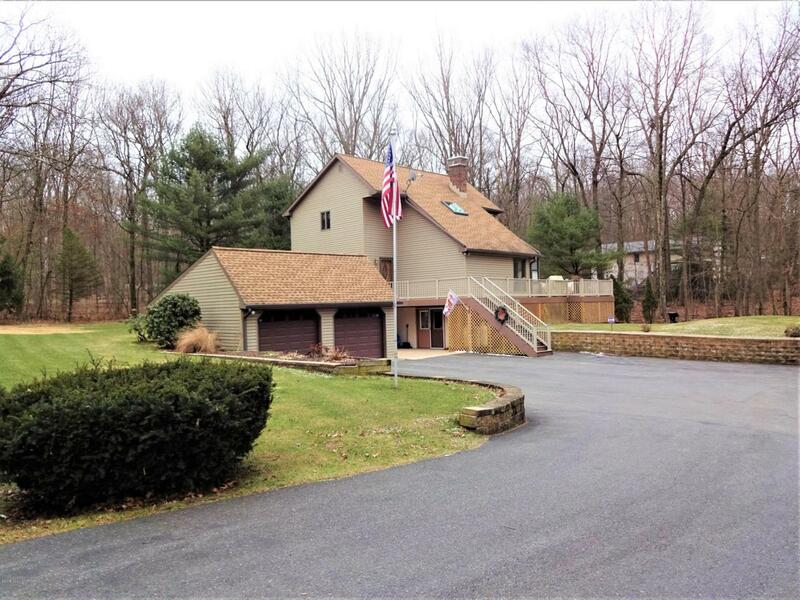 Situated on a corner lot on 1.2 acres, this METICULOUSLY MAINTAINED HOME has a lot of custom built charm. Open beamed ceilings & hand scraped hardwood flooring greet you in the tile foyer. Inside you'll also find a vaulted ceiling w/sky lights, knotty pine wall, & a stone chimney in the center of the home with a propane heat stove to warm the entire home. The modern kitchen has granite counters, tile back splash, & all appliances included. A dining room, main floor laundry, all season sun-room, 3 bedrooms & 2 full bath (a master suite w/walk-in closet & bath), a loft, & a finished walk-out basement w/storage room are inside, as well as a Trex deck, 2 car garage w/attic storage, a patio, & large utility shed outside. 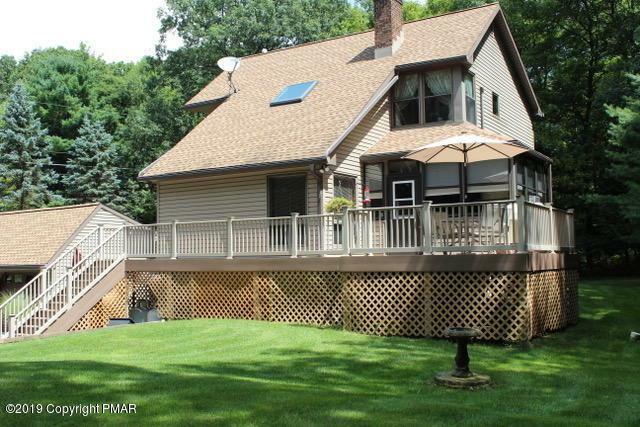 ONE OF A KIND, MAINTENANCE FREE, & LOW TAXES makes this a home you don't want to miss! Put this one on your "MUST SEE" list today! Listings displayed are not necessarily the listings of the provider. The data relating to real estate for sale or lease on this web site comes in part from Pocono Mountains Association of REALTORS®. IDX information is provided exclusively for consumers' personal, non-commercial use and may not be used for any purpose other than to identify prospective properties consumers may be interested in purchasing. Information is deemed reliable but is not guaranteed accurate by the MLS or Keller Williams Real Estate. Data last updated 2019-04-20T00:13:08.27. © 2019 Greater Lehigh Valley REALTORS® All Rights Reserved. Based on information from the Greater Lehigh Valley REALTORS®. IDX information is provided exclusively for consumers' personal, non-commercial use and may not be used for any purpose other than to identify prospective properties consumers may be interested in purchasing. Information is deemed reliable but is not guaranteed accurate by the MLS or Keller Williams Real Estate. Data last updated 2019-04-20T00:13:03.307.